Same delivery is available throughout Australia on orders placed before 2pm in the area of delivery. However, rural, restricted and remote delivery areas are the exception and you will be notified of any changes to the delivery date. United Kingdom orders placed before 12:00pm in the area of delivery. Same day delivery can be available on orders placed after these times, but it is not guaranteed. Please note some rural and restricted delivery areas do not have same day delivery. 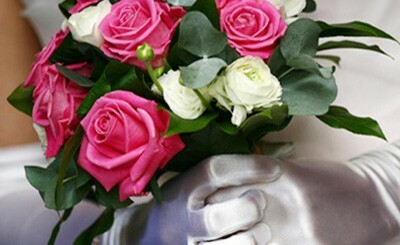 Saturday Same day delivery of flowers by a Florist can be arranged throughout most of Australia. However, rural, restricted and remote delivery areas are the exception and you will be notified of any changes to the delivery date. New Zealand, United Kingdom and Republic of Ireland if the order is received before 10am in the are of delivery- Rural, restricted and remote deliveries may not have Saturday deliveries. Sunday delivery for flowers is generally not available in any country. If Sunday delivery is preferred, it is advised that you make prior arrangements for this delivery with Florist Gump. As most couriers do not work on public holidays delivery of flowers is generally not available on public holidays. Orders received on public holidays will be delivered on the next working day - without notice to the customer. A list of public holidays can be found here https://www.officeholidays.com/countries/australia/index.php. On delivery, if no one is home, the flowers will be left somewhere safe, out of direct sunlight and out of sight of passing traffic. If you do not wish for the flowers or gifts to be left if no one is home, please advise in comments and the flowers will be returned to the store and will be available for collection. We will leave a note informing the recipient where flowers are. If you would prefer us to redeliver and extra delivery charge equal to the one paid will be required prior to delivery. If your order is out of town and an outsourced courier has been used then we give the courier company the Authority to leave unattended. The flowers cannot be returned from these locations. Florist Gump is committed to providing the best quality flowers and the finest designs. Our aim is to deliver your order as close to the design selected. There may be occasions where you have concerns regarding your order meeting expectations. In these circumstances we suggest you contact Florist Gump directly as soon as possible to discuss a favourable resolution to your concerns. Flowers should last between 3-7 days. It is imperative that your flowers get water and are not exposed to elements such as heat in order to prolong their lifespan. Please keep any flowers you are not happy with as we may need to have them returned to us to assess any problems. Refunds will only be given if we have proof of your problem, and we agree that the problem exists. A refund will only be issued if it is the only suitable outcome for both parties. All complaints (with proof attached) must be made within 7 days of delivery. If for any reason an order needs to be cancelled, please contact FLORIST GUMP as soon as possible. Orders which have not yet been prepared by our florists may be cancelled.